In the Feb. 22, 2016 issue of Time Magazine, the editors devoted an entire section to longevity and and how to age well. While I recommend that people read the entire issue, I also wanted to summarize their major findings in this article. In the past, this blog has covered a number of longevity discoveries, including the findings of the University of California - Irvine 90+ Study ... which has been going on for more than three decades. Researchers continue to learn new things about why some people are able to live decades longer than their counterparts, as well as why some of the elderly seem to escape many of the physical and mental health issues related to aging. 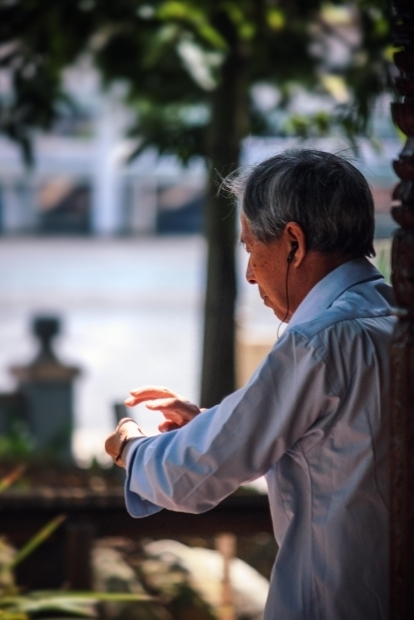 Below is a summary of recent findings from the Stanford Center on Longevity and the Sightlines Project, both of which were cited in the Time Magazine article. * As most of us have always suspected, having good genes is the reason why at least some people manage to live long lives despite bad behavior. Dr. Nir Barzilai, the director of the Institute for Aging Research at the Albert Einstein College of Medicine, studied a group of 500 long-lived Jews who had a mean age of 97.3. Over 50 percent of the group was either overweight or obese; 60 percent of the men and 30 percent of the women had been heavy smokers at some time in their life; only half said they did even moderate exercise. What Dr. Barzilai's group discovered was that these subjects had two gene sequences that reduced their bad cholesterol and raised their good cholesterol. They also seemed to obtain other health and longevity benefits from these special gene sequences. Fortunately, for those of us who do not have these powerful gene sequences, there are still actions we can take that will significantly increase the odds that we, too, can live a long life. * Our diets are extremely important. One approach to a long life is to cut the number of calories you eat by 25 percent. That action alone will lower your blood pressure and cholesterol a small amount. However, it will also cut you C-reactive protein, an inflammatory marker linked to heart disease, by 47 percent. For those who have read the University of California-Irvine 90+ Study, this may seem to fly in the face of their research that shows that people tend to live longer when they weigh up to 10 percent over their "ideal" weight when they are in their 70s. Some of this could be attributed to the fact that many of the people who live to be in their 90s are the ones who have those special gene sequences. * Occasional fasting also lowers the risk factors for age-related diseases, according to the Time Magazine article. In a study performed on mice, a low-calorie and low-protein fasting diet improved their metabolism, slowed down bone loss, and improved cognitive function. The mice also developed cancer at a lower rate and lived longer lives. When people were put on a similar fasting plan for five days a week, they got similar results including lower rates of diabetes, heart disease and cancer. The periodic fasting diet also lowered their blood sugar levels, as well as levels of the growth hormone IGF-1, which is believed to accelerate aging. * Reduce your protein consumption so that only 10 percent of your calories come from protein. People who get 20 percent or more of their calories from protein have a 400 percent increase in cancer risk compared to people who only get 10 percent of their calories from protein. * Another advantage of fasting is that it appears to flush bad cells from the body and spurs the generation of new stem cells. The new cells replace the lost cells and rejuvenate the body. * Lower your inflammation levels by eating a diet rich in plants and omega-3 fatty acids. Inflammation is believed to be the culprit in comorbidity, which means having more than one disease. Meditation and regular exercise can also reduce inflammation and your risk of comorbidity. * Move a little more. Researchers have discovered that just moving around a little bit during the day is enough to lower your risk of a heart event. In addition, moving more also helps older people keep their mobility. Sitting all day is a risk factor for an earlier death. It can contribute to Type 2 diabetes and nonalcoholic fatty liver disease ... even for those people who get regular exercise. It is actually more important that the elderly get out of their chairs and fidget, do chores around the house, take a walk and engage in other easy activities than it is to take an exercise class, if all they do is sit in a chair the remainder of the day. * Manage your stress, cultivate a positive outlook about aging, and reduce feelings of anger and resentment. All of these actions contribute to a longer, healthier life. The elderly see positive improvements in their health, resilience and mental acuity when they practice mindful meditation. It is believed that it actually slows biological aging by stabilizing telomeres. What are telomeres? They are defined as "The disposable buffers at the ends of chromosomes which are truncated during cell division; their presence protects the genes before them on the chromosome from being truncated instead. Over time, due to each cell division, the telomere ends become shorter." (Wikipedia) The bottom line is that the shorter your telomeres, the less time you have left to live. Anything that slows down their deterioration or stabilizes them, such as meditation, will extend your life. As you can see from the list above, most of the above behavioral changes involve being aware of what you eat. The other two were simply taking the time to move around your house as much as possible, and spending a little time each day in meditation. While not everyone can have the magic gene sequence mentioned at the top of the article, nearly anyone can learn how to manage their own lives. Looking for more information about aging, health, retirement planning, where to retire and more? Use the tabs or pull-down menu at the top of this article to find links to hundreds of additional articles. After reading this great article I'm convinced I should have been one of those mice or Jewish. Seriously, this is very helpful and would benefit everyone if they could follow this advice. Thanks for sharing!